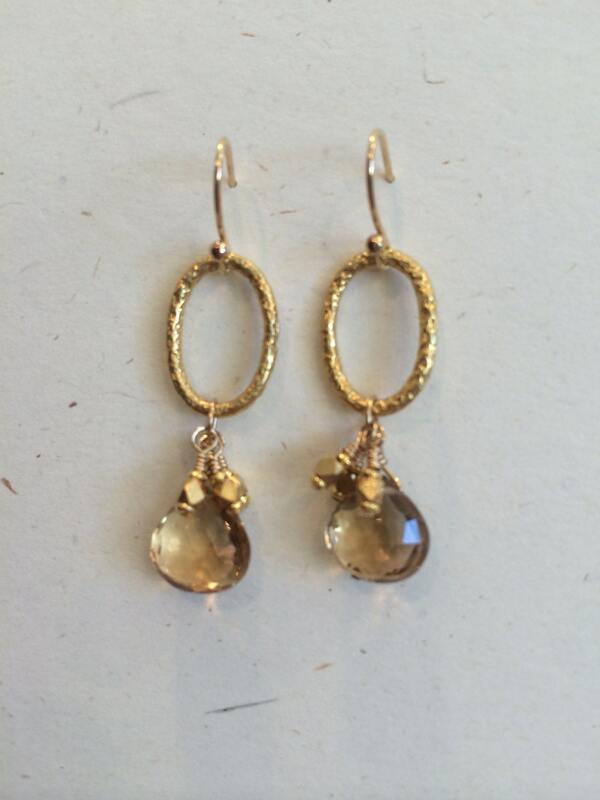 These gorgeous champagne citrine gemstones shimmer and shine on gold fill french wires. 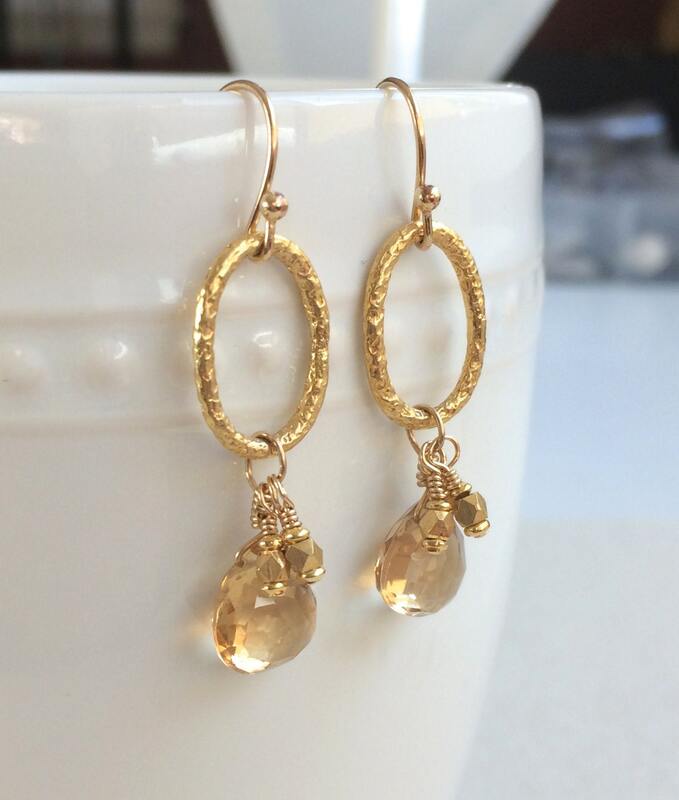 The tiny vermeil dangles add extra sparkle. The golden color is the perfect neutral anytime of year. They fall approximately 2" from top to bottom. 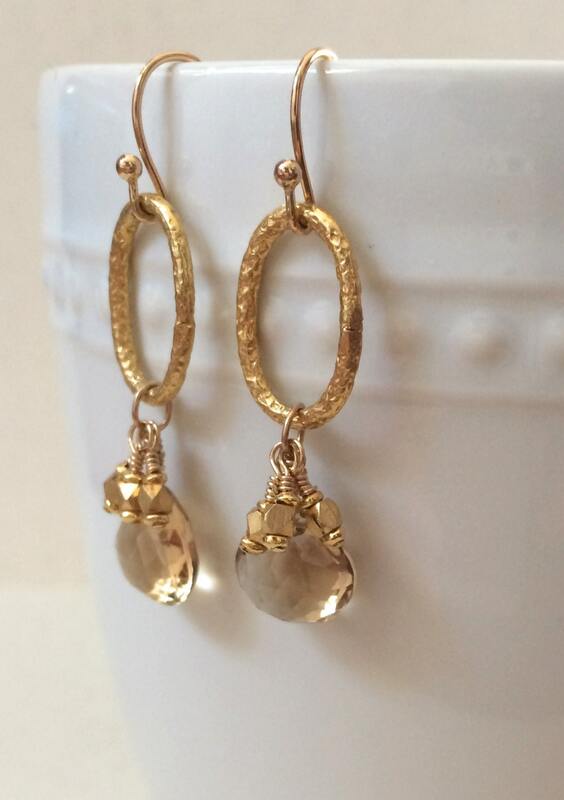 Please don't hesitate to contact us if you need more than one pair of earrings.